Join our monthly book chat and this time we will discuss the book: "The Real Story of Ah-Q and Other Tales of China, The Complete Fiction of Lu Xun" -- a major new translation of the complete fiction of the father of modern Chinese literature. In the early twentieth century, as China came up against the realities of the modern world, Lu Xun effected a shift in Chinese letters away from the ornate, obsequious literature of the aristocrats to the plain, expressive literature of the masses. His celebrated short stories assemble a powerfully unsettling portrait of the superstition, poverty, and complacency that he perceived in late imperial China and in the revolutionary republic that toppled the last dynasty in 1911. This volume presents Lu Xun's complete fiction in bracing new translations and includes such famous works as "The Real Story of Ah-q," "Diary of a Madman," and "The Divorce." 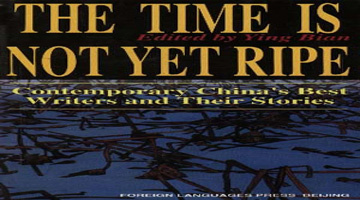 Together they expose a contradictory legacy of cosmopolitan independence, polemical fractiousness, and anxious patriotism that continues to resonate in Chinese intellectual life today.